Mattone Group has placed a massive retail complex in Jamaica with more than 400,000 square feet of air rights on the market for $175 million. The property, known as Jamaica Center, spans 216,000 square feet and is based at 159-02 Jamaica Avenue, according to HFF, which is marketing the property on behalf of Mattone. Its tenants include SUNY Queens, Walgreens, Old Navy and Multiplex Cinemas. It also features 351 underground parking spots and 428,000 square feet of developable air rights. The three-story building was built in 2002, and the property has never been on the market before. It is located in one of the Qualified Opportunity Zones created by the 2017 tax law, which means investors in the property are eligible for multiple tax benefits, including a deferral for capital gains. Developer Keith Rubenstein recently announced he would be creating one of these opportunity zones in the South Bronx. Barone Management purchased a pair of sites earlier this month in Jamaica at 89-25 161st Street and 89-25 162nd Street for $20 million, and developer Chris Xu sold his development site in the neighborhood at 163-05 and 163-25 Archer Avenue in January to BRP Companies for about $55 million. HFF’s Andrew Scandalios, Jose Cruz and Rob Rizzi are marketing Jamaica Center. 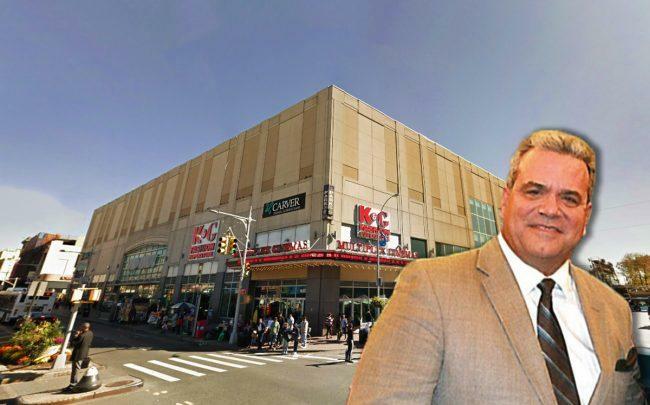 The brokerage is also marketing a large retail complex in Brooklyn — Canarsie Plaza, which is asking $150 million.